HAMPTON - A Hampton state representative plans to push for restoring the state’s contribution to retirement pensions for teachers and first responders, funded completely by cities and towns since 2011. State Rep. Renny Cushing, D-Hampton, told Hampton selectmen Monday of his intention to prioritize legislation restoring a 15 percent contribution from the state to retirement costs. The state once covered 35 percent of the cost, but lawmakers ended that funding seven years ago, leaving towns and cities to pay for the entire cost. Efforts have been made since 2011 to restore the funding but have failed, including a bill Cushing filed in 2017 that passed the House floor but was retained in committee before being killed. Cushing and other proponents argue the state promised to contribute to the pensions and are now reneging on that guarantee. The state began paying its 35 percent of the cost in 1977 when the Legislature and governor passed that fixed percentage into law. The commitment to pay that 35 percent was used as an incentive to convince municipalities to participate in the state’s retirement system. In 2009, the state lowered its commitment to 30 percent. The decrease was considered a temporary measure to help the state rebound from the recession at the time, but the state’s contribution was wiped out two years later. Democrats have blamed a turnover of the Legislature to the Republicans for the aid’s removal, but the change was signed into law by Democratic Gov. John Lynch. 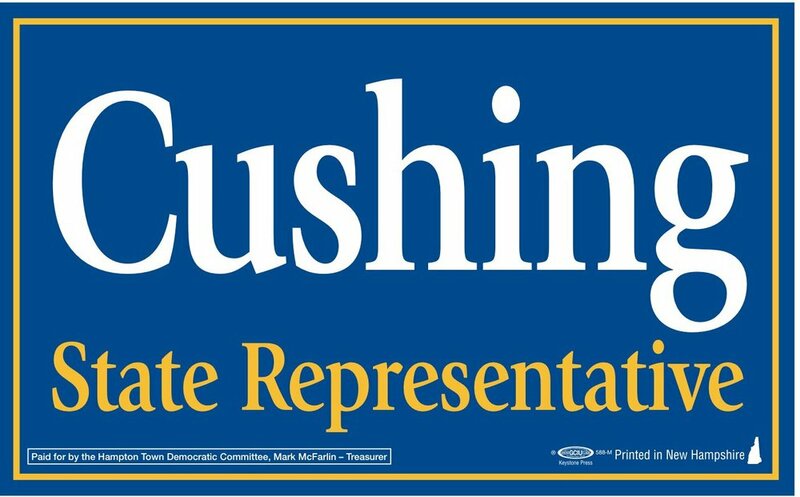 Selectmen said Monday they were supportive of Cushing’s proposed bill, Cushing appearing before the board that night with the rest of Hampton’s legislative delegation. Proponents of bringing back the state’s contribution say the cost is too much of a burden for municipalities. Selectman Mary-Louise Woolsey said towns are “building up debt” and could use help from the state.